Join us for a Shrektacular weekend full of DreamWorks madness this November, January, February or March at Chessington World of Adventures Resort and Shrek's Adventure! London team up to provide you with the ultimate family short break! Your days will be jam-packed full of DreamWorks Entertainment, from a King Julian and Shrek character breakfast to Madagascar fancy dress and a Family Game Show! Your first day will be even more Shrektacular with a trip to Shrek's Adventure! London. Step into and star in your very own hilarious, mad-cap adventure to the kingdom of Far Far Away surrounded by Shrek and his much loved DreamWorks friends. Travel by train to London and come face to face with Shrek, Donkey and others at Shrek's Adventure! London — a unique walk and ride attraction for the whole family. Step into and star in your very own hilarious, mad-cap adventure to the kingdom of Far Far Away surrounded by Shrek and his much loved DreamWorks friends. Will Donkey be up to no good again? Return to a fun-filled evening of DreamWorks entertainment with your Madagascar friends, before a sound night's sleep in a fully-themed Safari or Azteca room. For more information including how to travel to and from London, click here. Enjoy a scrumptious breakfast surrounded by your favourite Madagascar characters, before a busy day exploring the Zoo and SEA LIFE centre! Enjoy a scrumptious breakfast surrounded by your favourite Madagascar characters, before a busy day exploring the rest of the resort! Visit the Chessington Zoo and SEA LIFE centre, followed by a personal meet and greet from Skipper and the gang from DreamWorks Penguins of Madagascar. Why not treat your cheeky little ones to the ultimate DreamWorks experience with a Penguins of Madagascar room? Book now from £159 for your DreamWorks Weekender! Don't want Shrek's Adventure! London included in your package? Check out our DreamWorks Weekenders Excluding Shrek's Adventure! London. Terms and Conditions apply. 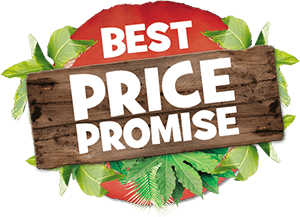 Lead price of £159 is based on a family of four sharing a standard room in the Safari hotel including entry to Shrek's Adventure! London. Dinner is not included in any DreamWorks Weekenders. Please note that the Chessington Resort Park will be closed. DreamWorks Weekenders including Shrek's Adventure! London include one day at Shrek's Adventure! London that must be taken on the first day of your break, and one day entry to the Zoo and SEA LIFE centre that must be taken on the second day of your break. Transport to London is not included. Packages are available 6th - 8th, 13th - 15th, 20th - 22nd November 2015, 8th - 10th, 15th - 17th, 22nd - 24th, 29th - 31st January, 5th - 7th, 12th - 14th, 19th - 21st, 26th - 28th February and 4th - 6th, 11th - 13th March 2016. Offer subject to change and availability. Standard cancellation charges apply.